On the day she becomes a woman, Amani is captured by droids and brought to the royal city of Ziyanna. There, she learns that she is to become the body double of the princess. They believe that Maram is in danger because of rebel activities. So Amani has to learn to be a princess, change her face, lose ties with her family, and completely be someone else; facing death if she fails. With inspiration from Morocco, this book is gorgeous. Not only is the cover beautiful, but Doud’s descriptions of murals and the tiling is beyond incredible. I absolutely adored it, and while I started it thinking it was standalone, but when I learned it was part of a trilogy (at least), I understood the length of it. 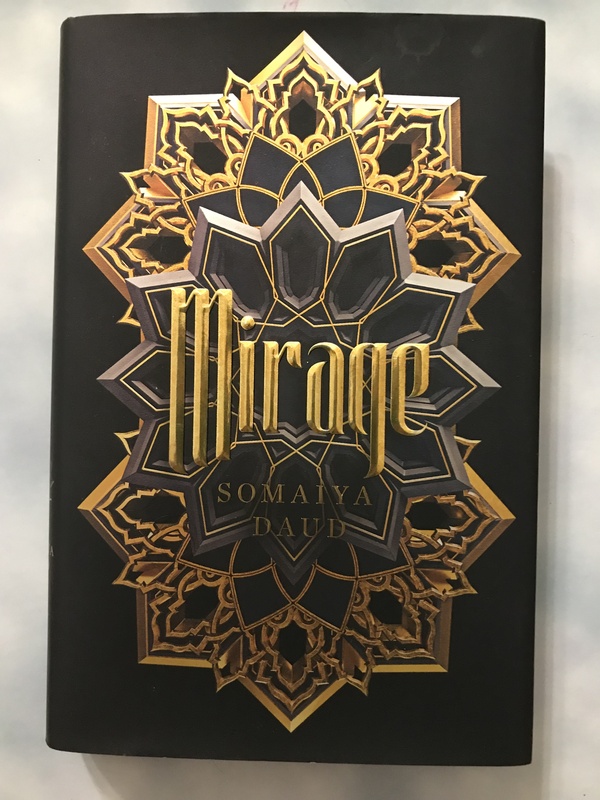 Mirage is a quick but beautiful read, and I fell in love with all of the characters. I highly recommend you read this soon, as the second book, Court of Lions, comes out this year! I truly enjoyed it, and I hope you will as well!